There’s no feeling quite like jumping into your own private pool and soaking up the sun from the comfort of your Manhattan Beach home. You may be thinking about taking the plunge and building a pool of your own. Or, you may have recently moved and are thinking of renovating your already existing pool. Regardless of where you’re at, it’s important to think about your pool landscaping when undergoing a new project. Whether your style is simple or extravagant, modern or otherwise, we can craft your pool landscaping to reflect your tastes and compliment your home’s exterior. 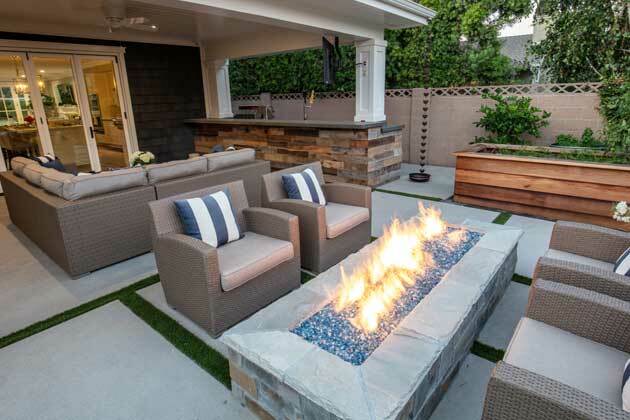 At Cutting Edge, we are experts in the art of crafting your entire outdoor living space to convey a seamless experience. We want to help you naturally blend your pool with the other aspects of your yard, and have found that the best way to accomplish this is through artfully done pool landscaping. 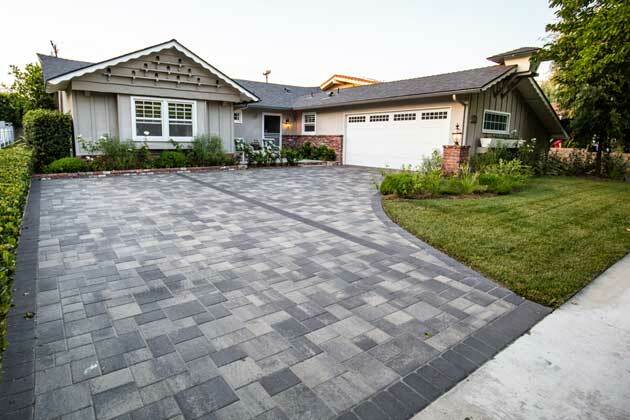 With hardscaping and softscaping, we can create a place that’s perfect for you. Expand your poolside enjoyment and help swimmers stay safe with custom-built patios. There are a variety of different materials available for patio construction, and our designers and landscapers are experts in which ones can create traction, increase safety, and are still low-maintenance. Well thought out walkways can provide a practical way to reach your pool, and can also add to the aesthetic of your yard as a whole. 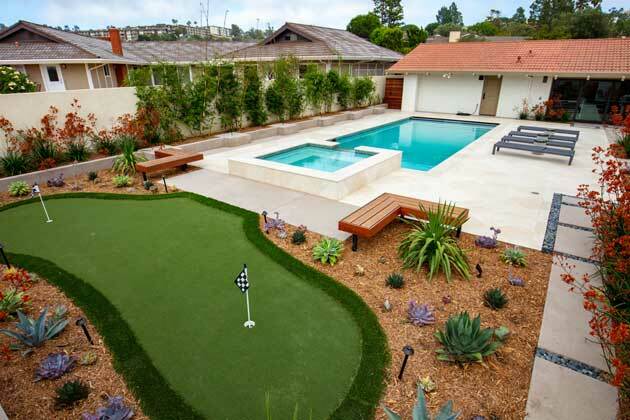 When it comes to pool landscaping, never underestimate the value that good softscaping can add. We specialize in xeriscaping and other low-maintenance landscapes, and are happy to bring that knowledge to your poolside. It doesn’t have to be complicated. The addition of even a few hardy, native plants can help give your pool an inviting look while also enhancing your style. Cutting Edge is a full-service landscaping company, meaning that we will handle every aspect of your project from beginning to end. That way, you don’t have to worry about juggling more than one contractor as your project progresses! Our status as a fully licensed contractor also enables us to obtain all the necessary permits you’ll need to get your project done. 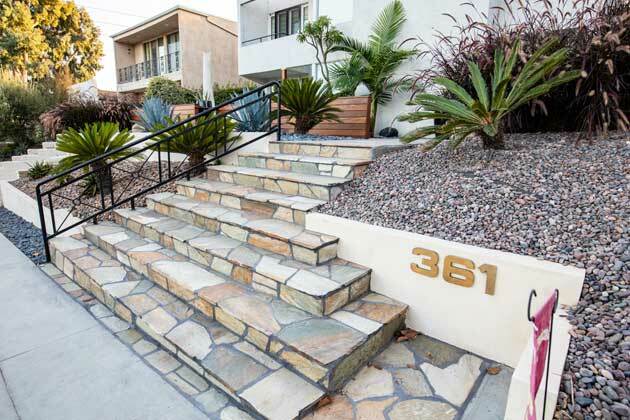 We know Manhattan Beach, its climate, its laws, and its people, and are ready to put our knowledge to work for you! We recognize that there are many pool landscaping companies to choose from, and that deciding which one to invest your money with is a big decision. At Cutting Edge, we promise to be available for you. We are never too busy to take your call or listen to your ideas, questions, or concerns. Our professional, college-educated team members will deliver results that you can find nowhere else. 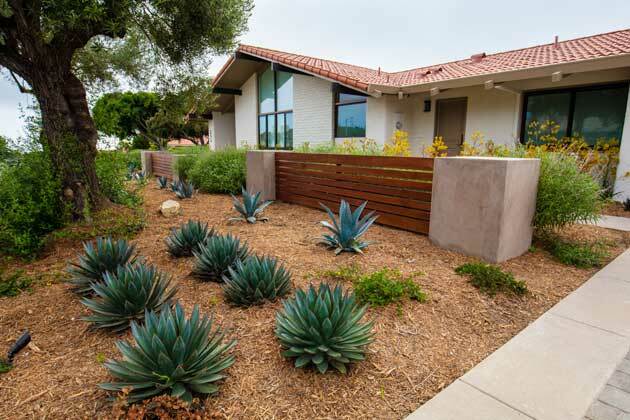 Their attention to detail and drive to always do their best work will put you at ease throughout your entire project, whether it be landscape design, xeriscaping, patios, or putting green installation. 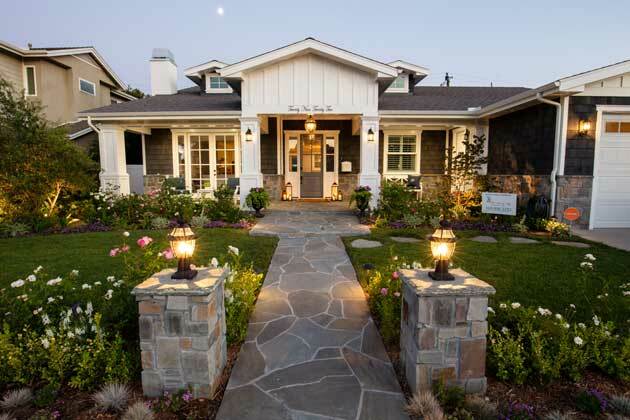 Contact us today, or give us a call at 310-406-2251 for the attention you and your home deserve and results that will leave you breathless!